The recent Inter-Party Working Group for School Choice Report, Step Change: Success the only Option, is something of a curate’s egg. This issue is whether you will want to scramble it or use it for throwing at the Church Fair. Produced by a working party of members of parliament from National, ACT and the Maori party, it sets out to abolish school zoning without actually doing so. To achieve this it wraps itself in a mission to address issues of underachievement, especially that of the low-achieving 20%. All very noble and who could disagree with that? But being a political report it must keep faith with the faithful so it also links into it suggestion the 5% “most gifted and talented”. And who could be surprised by that. And what is the key recommendation. That those two groups be able to take their education resource and take it to another school that will be “out of zone”. I have argued for a long time for increased flexibility especially towards the senior secondary end of the compulsory sector. But I think that this proposal has in it some real difficulties. What does 5% and 20% mean? Will it be 5% / 20% measured nationally within each school? If it is 5% / 20% nationally then who is in that group and how do we know other than in general terms? And between schools, the “most gifted and talented 5%” and the “low-achieving 20%” will be groups that are as different as chalk to cheese. Those identified as being in the low-achieving 20% group in a low decile school will be a very group from those identified in a high decile group if “20%” is to be the measure. Similarly, drafting out the gifted 5% from dissimilar schools will produce results that are all over the show. That is, unless there is to be a national test of some kind. It seems not only difficult but certain to introduce another inequity into the system. Remember when Reading Recovery was available to the bottom X% of students in each school captured in a net at 6-years old? Yes, the programme was excellent but access to it skewed in favour of students in higher decile schools who received the wonderful extra help while many in low decile schools who would have been easily eligible had they been in a higher decile school missed out. Further, the sheer numbers are cause for reflection – could this ability to transfer resources to other schools really be given to 25% of the school population? In 2009 that would have meant that 190,214 students were changing schools. OK, it will have to be restricted in some way. Would decile ratings help? Supposing for a minute that the concentration of low-achieving students is in Decile 1 – 4 schools, and forgetting for a minute the comment above, that would result in a group of merely 60,376 students in the scheme. Using the same logic the gifted, were they thought to be in high decile schools (7-10), would number just under 18,000 in the scheme. Please don’t tell me that this makes little sense – I know that. But this is a curate’s egg that is very hard to slice. There is some interesting commentary in the report on the performance of students and some words wrapped around a commendable wish to see increased flexibility. But is this the way to get it? It was instructive that, in commenting on the report, John Hattie, whose research is called in to support its drift said that this was not the way to achieve it. You need to address these issues within the school rather than believe that they will be addressed by movement between schools was the message he gave. But what of the low-achieving students who wait while this is done? What of the gifted and talented who want a different stimulus. The two groups are different. The first waits while their lives are put increasingly at risk by an accumulation of failure that will finally sees many of them disengage. (Is this where the 20% comes from? 20% of students have left school by age 16.) While the second group will continue to demonstrate their talent and giftedness but experience a frustration that is more benign in its impact on the community despite being really frustrating to the students and their parents. There seems to me to be an easy and attainable solution for the talented and gifted. Less school, faster progression through school and increased opportunity to have breadth of experience will in many cases meet their needs. The issue is that the talented and gifted plod the same path as those of us who are not. Liberate them to use their special talents and to express their giftedness, just get on and do it. The low-achievers are another challenge. Low achievement is often an accumulation of factors of which learning in schools is but one. But it happens also to be the only one that can probably change that. This is where the effort must go. Nothing must be spared to address the issue of low achievement in the interests of both the individual students and of us all. New Zealand cannot sustain the current patterns of achievement without serious future consequences. Shifting a few students around will not get a step change; shifting teachers around might? If the Working Group believes that shifting low achieving students to other schools is the answer, then get the same effect by shifting teachers to where those students are. Giving students likely to become low achievers access to quality early childhood education would be a good place to start. Abandon the 20 free hours scheme – it is so badly targeted that it just about misses every bulls-eye and use the resource to increase the impact of quality early childhood education. Tighten up the school zoning requirements so that we return to an education system where schools reflect their communities and have in them the mix of students that the proposed scheme seeks. The report is understandably ideologically driven. Interesting ideas, thought provoking, challenging – it is all of these things. But a step change it will never be. It was good to hear new Minister of Tertiary Education Steven Joyce, in an early statement about his priorities, emphasise the importance of trades. More heartening was his recognition that the real issue was to engage many more young people in trades training at an earlier point in their education journey. We have had three decades of opportunities destroyed. Generally this has been because of the unintended consequences of actions taken to pursue some other perceived good. But as a country we have simply been dumb in both senses of the word to allow this to happen and to fail to intervene. Take for example the shifting of technical education from darkness into daylight. Once upon a time night classes were a key site for technical and vocational education. Young people (and some others) would work during the day and then attend to their qualifications at night. We talk earnestly about earning and learning forgetting that once it was possible. But the development of polytechnics saw such training increasingly become a daylight activity. To allow this to happen for people in work, block courses were invented. Discontinuous learning is less effective. Why are we surprised at low pass rates? Another issue. Credential creep has seen the entry level for professions go up and up. For instance the entry level qualifications of primary teachers entering training were initially two School Certificate subjects, then a year in Form 6 was added. The proportion entering teaching that held university entrance hovered between 40% and 50% through the fifties to only slightly increase in the sixties. Now you require a university degree. Were teachers of that earlier generation less well qualified than the current teaching force? Accountants used to come into the job with a smattering of commercial practice and some book-keeping. Now the Bachelor of Business degree is the starting point. Does business perform any better? Nursing and a host of other occupations have gone down similar tracks. Why? Well the answer might be to do with pay equity and the strange belief that pay should somehow be glued to qualifications. Then there was the demise of apprenticeships. The government through its agencies such as the Railways, Post and Telegraph, Public Works. Tourism and Hospitality Corporation, the Armed Services was the employer of 80% of New Zealand’s apprenticeships. When the government decreased its involvement in the economy during the 1980’s it took the apprenticeship system down with it. All attempts to find ways of reviving the robust scheme we once had have been disappointing in terms of the results achieved. That is because these replacement schemes don’t reflect the basic elements of an apprenticeship. Central is the master-tradesperson relationship with the novice. The trade was learnt from the experienced and wise exponent of the trade in the real setting of the job, under the pressures and conditions of doing the job and working for real bosses who had real clients. Theory developed out of practice and was not a disintegrated part of the programme. Entry levels to apprenticeships were also pretty low compared to the requirements today. Many school leavers with basic skills (but not always) would find themselves in an apprenticeship – “Go and sit over there next to Tom / Nellie – they’ll show you the ropes.” And these young people would be inducted into work and a majority of cases a transition into education and training would result. Businesses in those days knew they had a role to play and they played it well. Do they still have this sense of responsibility? There were other schemes that worked alongside all this – the Maori Trades Training Scheme for instance. You can’t and wouldn’t want to re-invent the past but we would do well to consider the principles that underpinned the practices of trades training in the past and seriously consider re-expressing them in a modern setting. To be fair, there are forces that simply reflect a changing world that impact on vocational training. Technology has had an impact on office work and manufacturing although the biggest impact on manufacturing has been the exporting of our factories rather than the products they produce. The changing demographics continue to pose huge challenges to our education system which seems not able to maintain the supply of young people able to enter the work force. There has been a general removal of unskilled work from the opportunities young people can access. Older people now do the work that was the domain of young people – delivering newspapers, mowing lawns, running messages, helping out in shops and so on. And there might have been a change of values with regard to low skilled and unskilled work. Once being in work was valued much more highly that was the kind of work you did. Being unemployed was rare and greatly to be avoided. Now everyone wants to be the brain surgeon, the highly skilled engineer, the flamboyant lawyer or the astronaut. This reflects the inexorable drive to sell the view that more schooling is the answer. The blind belief in an elongated general education is just that – there is little evidence that reducing pathways for young people increases the options they face. There is also little evidence that staying in a school system until the age of 19 years benefits every student. There is overwhelming evidence that staying in education and training does. The evidence is clearly telling us that young people need greatly increased and flexible pathways at a much younger age. Getting to conventional higher education has for a long time (but not always) required the long path of schooling. Have we the wit to understand that we have headed off in a direction who might not be working for those headed towards the trades? Some of those new and flexible pathways for younger people have got to lead them into the trades. What do you make of the shuffle of the education portfolios in the cabinet – the shift of responsibility for tertiary education from Hon Ann Tolley to Hon Steven Joyce? Clearly, the common kerfuffle shouted, Tolley is failing to deliver, she struggles in her portfolio, and so on and so forth. If the Super Bowl had been won by a margin of 73 to 14 this weekend you would have to say that the result reflected a pretty one-sided contest. So you would have to conclude that the result of an opinion poll reported in the NZ Herald as producing a 73-14 result as also being one-sided. If Tolley has “failed” by winning only 73% community support for the Government’s National Standards policy then many of her cabinet colleagues must be wondering how they too can be such a flop. The NZ Herald reported that 73% of parents supported the introduction of the National Standards while only 14% were not in favour. Pretty conclusive I would say. But the most interesting result of the survey was that when asked whether they understood how the new system worked, 62% reported that they did not while only 12% said that they did. This supports the view proposed in last week’s EdTalkNZ’s column that the education profession had done less well at educating and persuading the community than has the government. The argument has been well and truly won by the view that it was time that the community was better informed as to the real progress of young students than the proposition that it was a methodologically and professionally fraught exercise. Forget the intricate arguments. Forget the worries that league tables will emerge. Remember that the only league table parents are interested in is the one that pits their son or daughter against the pile of boys and girls they go to school with. Is my boy, is my girl doing OK? And how do you know? And are they about where they should be at their age? It isn’t rocket science according to parents even though teachers with some justification believe that it is a difficult and complex business. Or put another way, parents don’t care a fig for our chatter. Simply, they want to know if Sione or Moeawa (or Emma and Zac) can read or write at a level that is appropriate to their age. It is time for the teaching profession to acknowledge their right to this and, as we say these days, move on! So why was the cabinet reshuffled and Steven Joyce give responsibility for Tertiary Education? Forget the days when every little regional centre could expect a motorway / polytechnic. Forget the old polytechnic roadway network that got you from wherever you were to any destination on smooth roads with full traveler facilities. Expect travelers to have to change from the regional railcar onto the national railway that takes you to metropolitan centers. In short, expect a big shake up. As sure as whoever made little green apples, Steven Joyce has been moved to the tertiary to get on with some radical reform. This has to do with a rationalisation of the network of provision, the strengthening of regional polytechnics’ connection to their regional roots with a clear focus for regional polytechnics on their role in regional development. They will not be expected to contribute beyond this. Nor will they be funded to do so. The challenge to achieving this will be entirely political rather than economic or educational. Nudge nudge wink wink. Will some in the government see their pet polytechnics get favoured treatment? The announcement of the changes to education portfolio responsibility also hinted at issues related to student allowances and such issues. This is a big one but with the current interest in taxation reform, the new tertiary minister could well search for answers in that area. Could students who successfully complete tertiary qualifications at specified levels receive taxation relief during the first few years of work? Could students successful in targeted areas receive taxation holidays while they remain in employment in that area? I think especially of teachers here. There is scope for some imaginative thinking in getting the tertiary system, and especially the polytechnic system, cracking in supporting the economy. Unblocking the traffic jams might not be all that different from unblocking the dysfunctional flows of the tertiary education system. You might conclude that the readjustment of responsibility in the education portfolios seems mostly to be backing winners! This was the mantra that Education Minister Hon Ann Tolley repeatedly turned back to during a radio interview about the National Standards. These debates / discussions / arguments continue and the styles of the two sides have become an interesting contrast. The Minister has a simple and clear message in this mantra. Her message is short, understood by the community and, seemingly, not open to rebuttal from the professionals. To the government this is what the discussion is all about, the simple fact that in our education system too many young people are failing to put into place the skills of literacy and numeracy. For the community, this is a self-evident truth. But perhaps the position that is least understood by the community is our wanting a trial. They have been taken for something of a ride in the past by these tactics. The road to hell is paved with good intentions and education pilot programmes from New Zealand. Our track record is to elongate trials until eventually implementation is but a fond memory. Meanwhile….. There are reports that the government is talking with John Hattie about all this. That is excellent and they will be getting good advice from a sound professional who has both led in this field and has a grasp of the wider research. So will action follow? Will the course all this is on change? Perhaps the educators need to start communicating much more simply to their constituency of parents. Hone Tuwhare had little patience with the monkey language of professionals which in a lovely poem, Deliver Us, he argued left us largely talking to ourselves. What might be some ofthe simple mantras that would get messages across? This would be a good place to start. Recent discussion of early childhood education provision in New Zealand has once again made explicit the fact that we seem to be making an effort but it is being swamped by the demands of the demographics. As predicted many times in my earlier columns, the 20 Free Hours policy has been untargeted and counter-productive. Fewer little ones now fill up a greater proportion of the places. The policy has been good for some parents but has made little impact on getting more little ones into quality early childhood education. There was a tendency for the school system to take up a call for increased resources as the default position whenever change is proposed. Give us the tools and we will do the job! But there are many jobs that schools simply can’t do – compensating for poor housing, coping with inadequate health provision, providing the support for children that family sustaining wages bring into homes and so on. What then can we do? The great irony is that we can teach young ones to read and write and do their sums. There might be evidence that when we succeed in this, we do it as well as any system in the world. But….. The English-speaking education systems (i.e. Australia, Canada, United States, Great Britain and NZ) all face the same dilemma. The students we are good at teaching are becoming a smaller proportion of the school population while those we have, in all honesty, always struggled with are becoming much more prevalent. What we used to think of as minorities will become majorities – indeed they already have in many places. 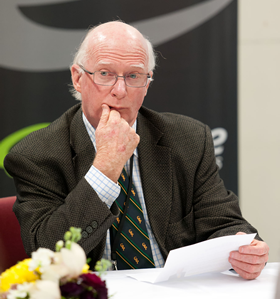 The issues that we face in New Zealand are the same issues faced throughout those English-speaking education systems. What we have got in our favour is the question of scale. Coping with 150,000 (if that is the figure) failing students is a much easier call than say coping with the issues of Hispanics in the US system. If we knew who those 150,000 young ones are, then is it beyond our wit to do something about it? If schools and their teachers do know who they are (Remember Claim 1: “We are already doing this.”) and can assess just where each student has reached (Remember Claim 2: “We already have a good testing regime.”) then why is this issue seemingly but doggedly continuing to haunt us? I cannot bring myself to believe that we don’t know what to do. I can only assume that we have somewhere along the way lost a sense of the points to which we should take young people in their journey through school. What constitutes good preparation for starting school? What should be the point that signifies completion of basic / elementary / primary education? What is the role of secondary schools in preparing students for whatever is to foolw? Otherwise the Lady of the Mantra will continue to hold centre stage, the education system will incessantly tilt at windmills and too many students simply left wondering about the impossible dream.